4k00:20Man with beard, wearing glasses and white helmet stands in a boiler room, inspects. Against the background of hot pipes in a silver corrugation, pressure sensors. He takes notes, looks at the sensor. 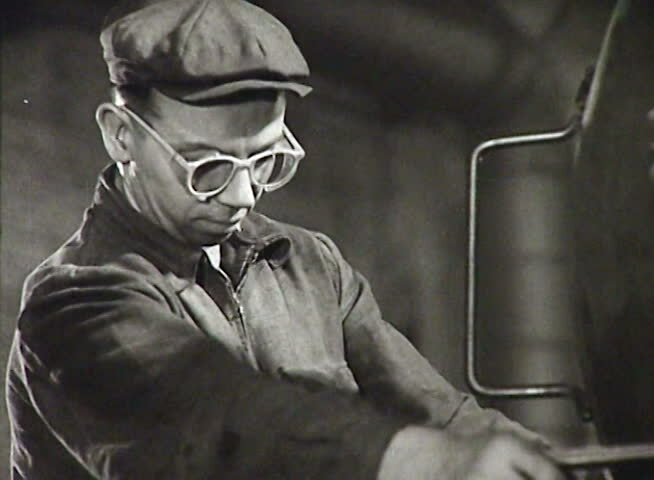 4k00:14A young man in a white helmet, glasses and a black T-shirt looks straight into the camera, standing in a boiler room or a technical room with hot pipes. Portrait of an engineer or a locksmith. 4k00:19Black and white cinemagraph of a woman with her face to the sky and clouds and barn in the background. 4k00:15Joiner works with an electric jigsaw and processes wooden products. Craftsman with saved glasses work at his workstation. Man in a protective mask on a dark background working on woodworking tools. 4k00:24Young, emotional , expressive Asian musician woman in black leather jacket playing the electric guitar in hangar.